Why is it always so fun to find Retro stuff in “normal” shops?, I have always had something for game boxes and cover art, they have always attracted me beyond everything else. 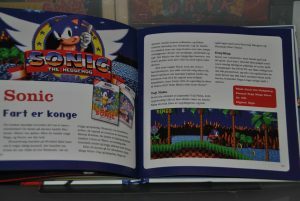 The reason i mention this is because i still have it today and when i see an old game box or an item from the early days of Gaming then i have to check it out, like this Book that i am writing about today, the reason i found it was because of that Competition Pro joystick and of course the Space Invaders icons. This “new” book is from 2013 and i have had it since then but i have never got around to write about it. 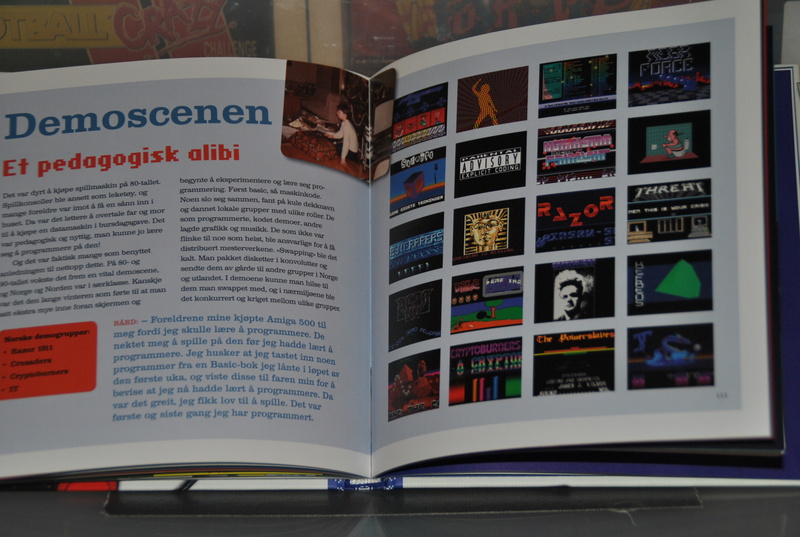 The main reason why i never did get around to writing about it is that this book is written in Norwegian only and yes it does cover the Gaming era of the 80’s and the early 90’s and only how it was here in Norway. (hence translating it to English might end in a “lost in translation” thingy. 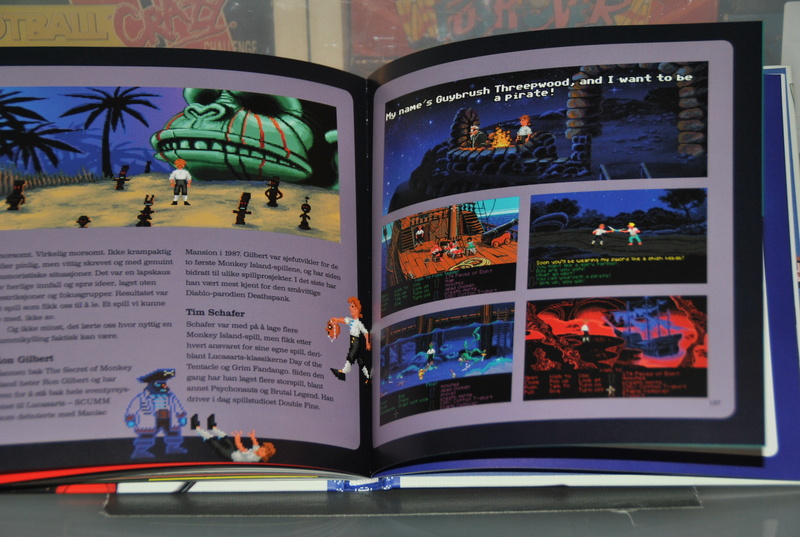 The Book covers everything from Space Invaders to Doom, well, of course, it doesn’t but that’s the timeline anyway and most important things are covered, 150 colorful pages and yes it IS a real book. The book starts with a few words about how the “kids” in the 70’s and 80s had to “survive” by playing Monopoly,Yahtzee and Ludo and how there was next to no Arcade halls nearby and if one was lucky one had to travel to one of the big cities and then you might be lucky if you found a pinball machine or maybe a Galaga/Space Invaders or maybe Pacman. 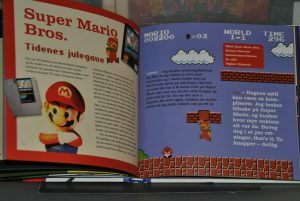 After that the book goes into detail about how the media and parents were all against TV/console / Computer games and such, stories about how you would get Squared eyes, aggressive and even prisoned if you sat around a computer/games for too long (or in some cases, at all). 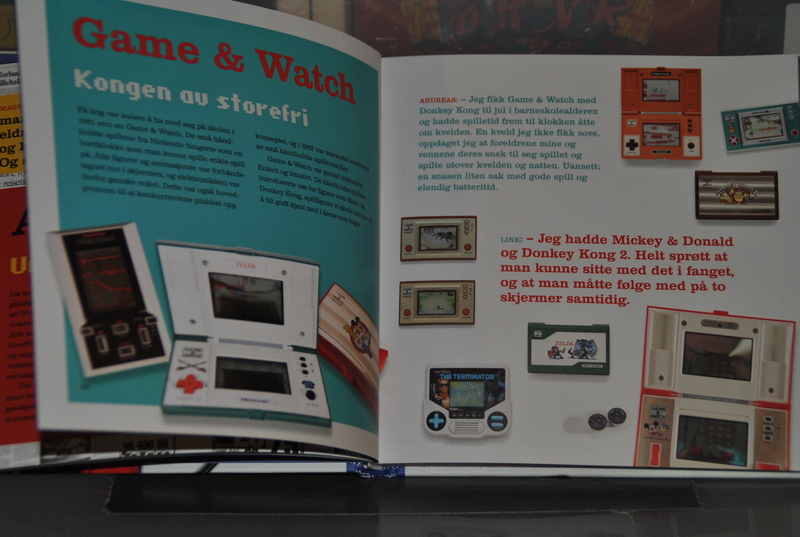 In Norway, the game and console market was “penetrated” by the Commodore C64 and the Nintendo Game & Watch stuff. At school and such one used a Game & Watch and at home one had a Commodore C64 and if you had both then you.. yes a real geek!. Oddly enough, no one took care of these handhelds so, in the end, such a common product at that time is today considered very rare and in some cases extremely rare. 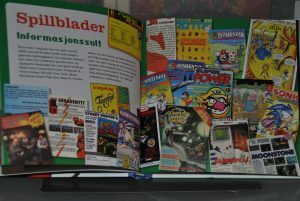 Back in the 80s one had to go down to the local library or book outlet to find out about new games, it took a while before the magazine industry came in Norway but of course, the first step was English magazines and eventually Swedish and then Danish mags, before the Norwegian ones came. I have always thought of the games Magazine industry in Norway to be quite bad and it wasn’t before the Playstation magazines that it became better, much better. 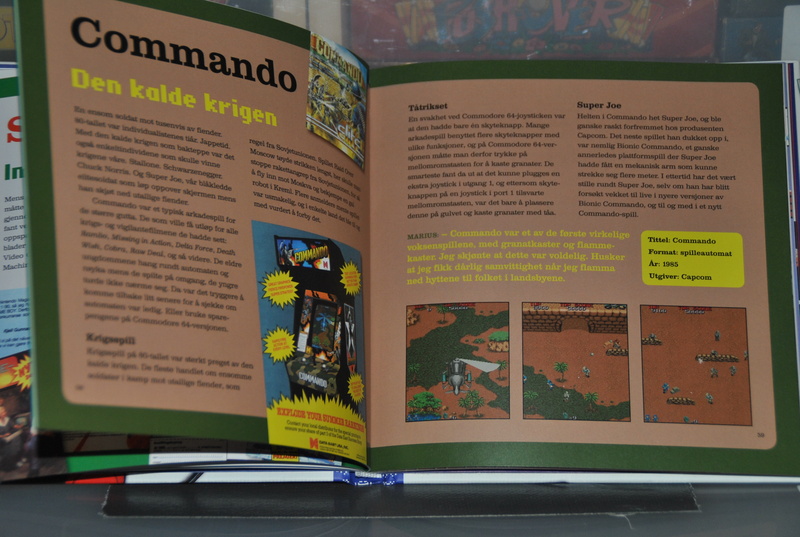 Ironically this book is written by some key people from the magazine and game industry in the 90’s. 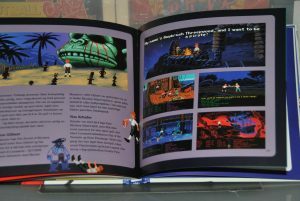 So many good articles in the book and it is even better how it’s written, all the games they mention in the book for the Commodore C64, Amiga and Arcades was also in my past, same feelings about them and how they ruled the bedrooms and the arcade halls. 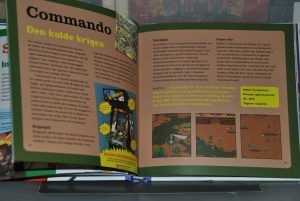 Commando was of course mentioned and till this day i remember that fuzzy feeling i got when i figured out how to throw a grenade in it, which is btw covered in this book too (tip, we call it the Toe trick). Tons of Amiga and C64 games covered, Bubble Bobble, International Karate, Exploding Fist and so on and not just a bunch of Nintendo and Sega stuff, nice mix of all including Arcades. 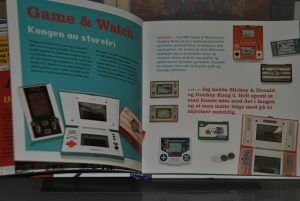 I guess a lot of things changed when the NES became popular in Norway, the NES had been out for years before it hit this country with a storm. Mass marketing and wisely positioned playable consoles with Mario in Shopping Centres and so on helped a lot. I remember seeing Giana Sisters on the Amiga long, long before Mario rampaged the streets in my neighborhood and for all of you out there, the Amiga version of Giana came 2 or so years after Mario. The NES and Mario did back then what the Wii and Wii-sports thing did 9 years ago, it took the country by storm, everyone had to get one. 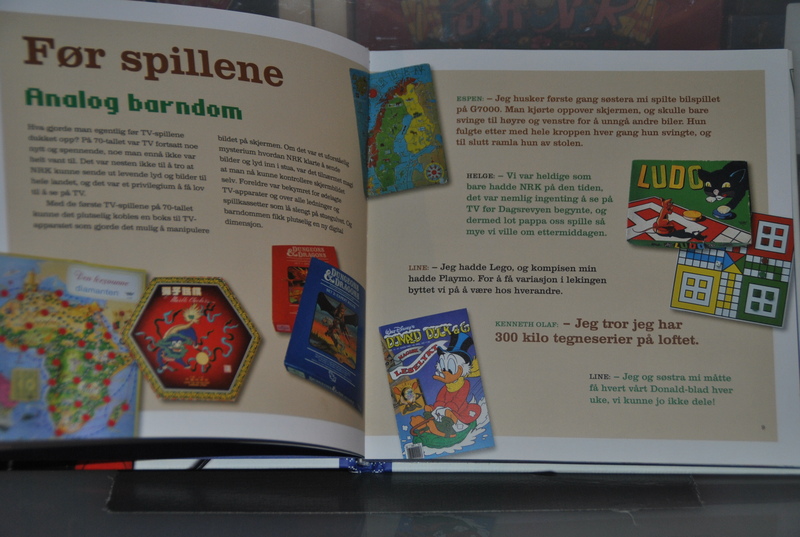 The book tells stories about how one could rent a Nintendo and games at local video outlets/stores and yes this is how i completed all SMB and Megaman games of the past. 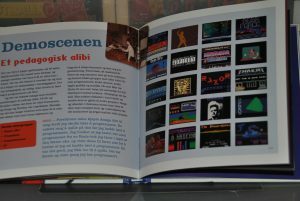 The Amiga and C64 demo scene are mentioned in the book too and this article covers pretty much only a certain year although it should be enough for many to want to go to Youtube and watch all of them and many more right away. Sadly State Of The Art and a Razor thingy steals too much of the limelight here, but then again these demos did steal all of the limelight back then and i guess that’s ok. Cool how they mention the local scene in Norway and having sceners fill in a comment and two in the articles. The demoscene in Norway was pretty huge in the early years of the Amiga but till this day the C64 scene is bigger and always have been. The stuff that is written in the article feels pretty darn exact how i felt when playing it the first time, all the laughs and the funny comments, the odd puzzles and of course all the attention to detail. 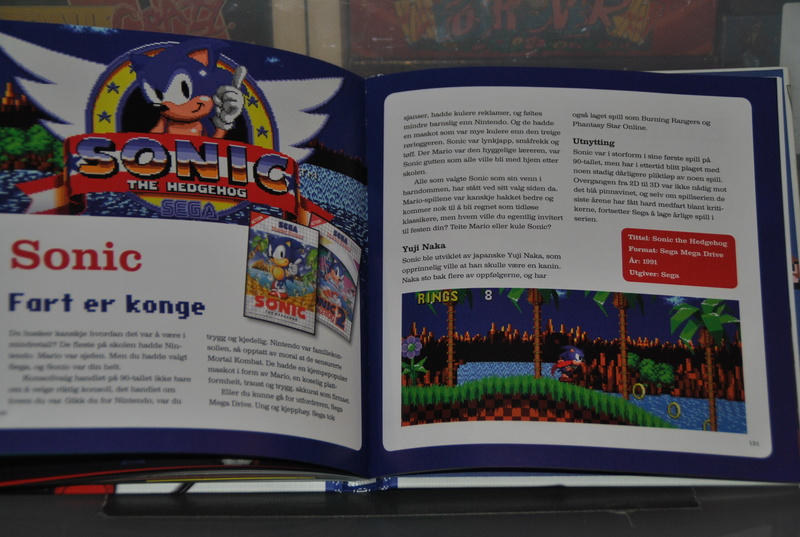 Sonic is of course mentioned and by all means, it should too and best of all this is where they brought in the “console war” age, the rivalry between Nintendo and Sega, not the companies but the gamers/community. One of the comments here is as good as back then as it is today: I didn’t play on a Sega console, everything there was just Nintendo rip-offs. 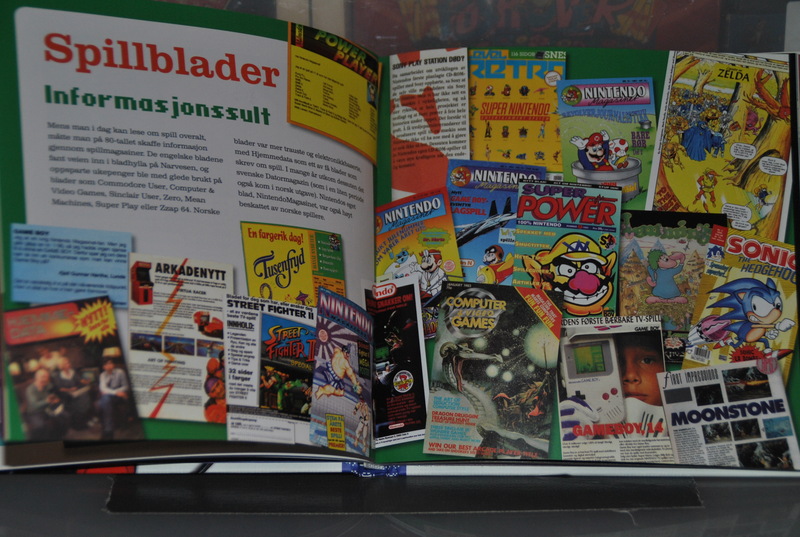 This is a very good example and this is why Sega never did get a big Norwegian community/fanbase as by the time Sega got big enough here then Nintendo had already stolen the limelight. I, as an Amiga user felt this one too, people left Amiga in favor for consoles like NES and SNES but also PC eventually. 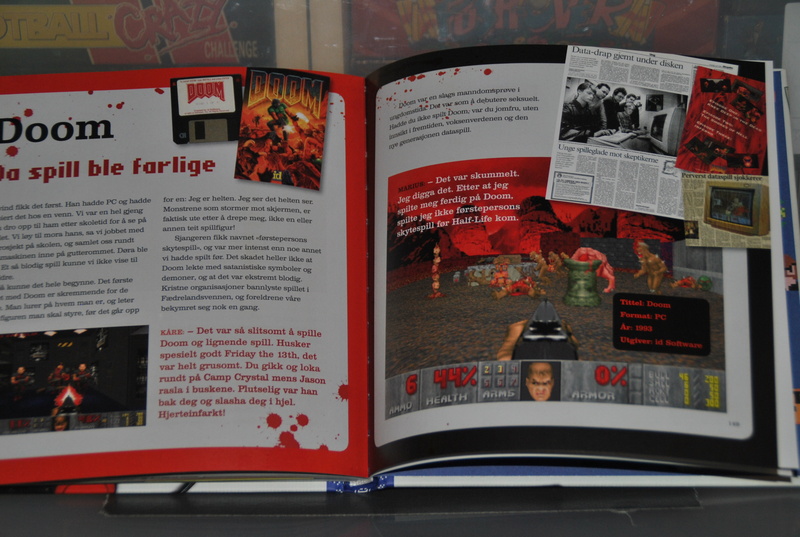 The book ends nicely with this era/article, DOOM. 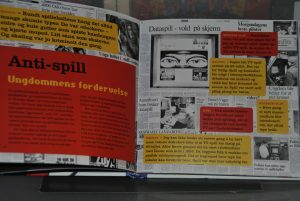 I hope that someone will translate this book at one point, i am not the man for this task sadly, but maybe someone else is?. Nice! Who is publishing this book? I will have to look for it next time I’m in Norway or order it online if possible. 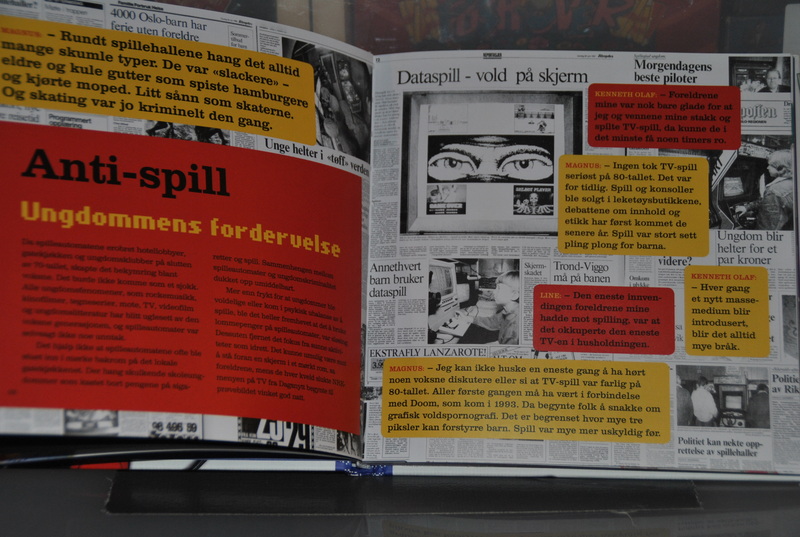 Found the book in few stores, but to get to Austria was just as expensive as the book itself. if i find it here i can send it down to you, i ow you money afterall.